The union health ministry was planning to set up a central authority to ensure the compliance of standards in electronic health record (EHR) by all healthcare providers, an official said here Wednesday. 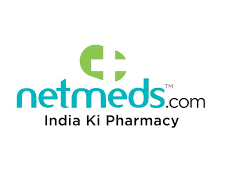 “The ministry intends to set up a mechanism to monitor and uate implementation of and adherence to EHR standards and guidelines by various healthcare practitioners and vendors,” said Lov Verma, the health and family welfare secretary. He was speaking at Associated Chambers of Commerce and Industry of India (ASSOCHAM) national summit on “ICT (Information, Communication and Technology) in Healthcare”. “We need to have an e-health authority which will be the regulator and which will see that EHR standards are being adhered to,” he said. Verma said with the adoption of ICT, the ministry was hoping to achieve remote consultation, diagnosis and treatment through telemedicine while at the same time facilitate collaboration and co-operation among healthcare providers.